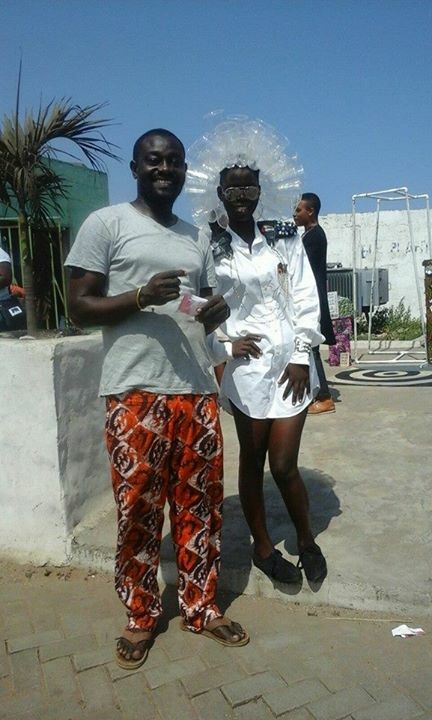 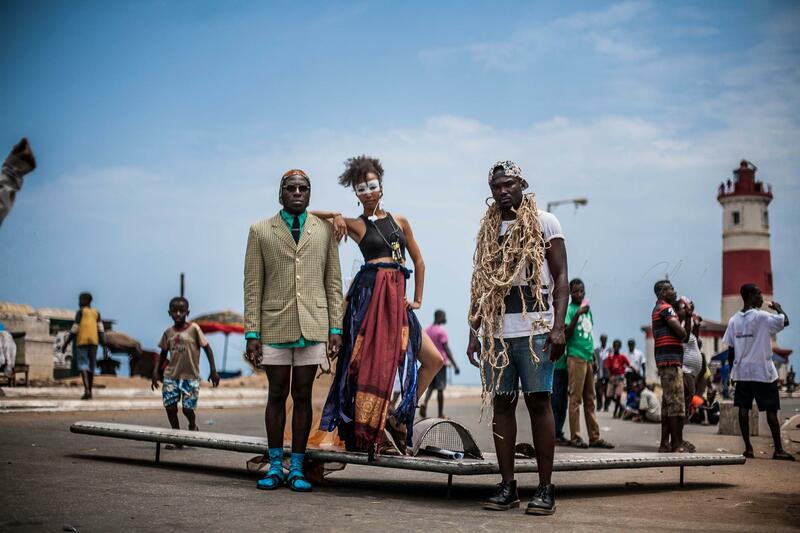 The team took ‘Sui Generis’ to the Chalewote Street Art Festival, organized annually by Accra [dot] Alt. 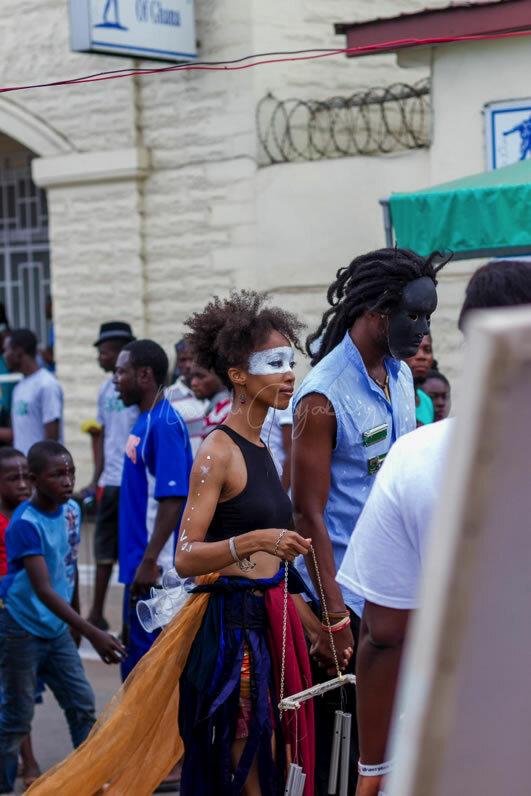 Artistic Director Elisabeth Efua Sutherland teamed up with ATW regulars James Brown, Sena Asante, and Doris Djangmah, along with newbie Gloria to bring an adaptation of the show to the streets of Jamestown. 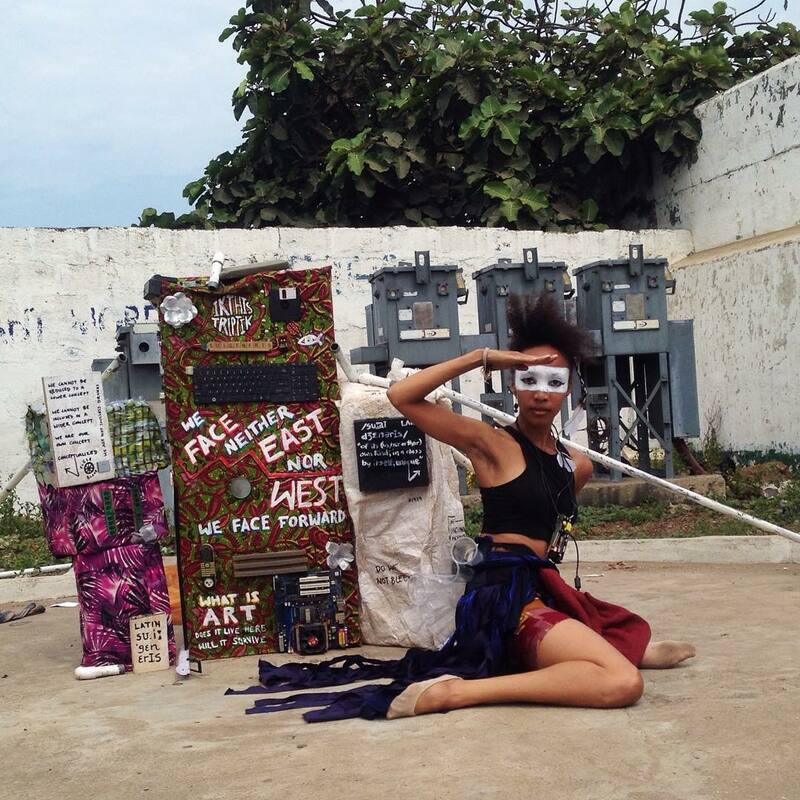 The piece used recycled set pieces, plastic headgear and movement to explore themes of reclamation, and the idea of the Ghanaian youth as “digital native”.